Christmas shopping: Check. Workout: Check. 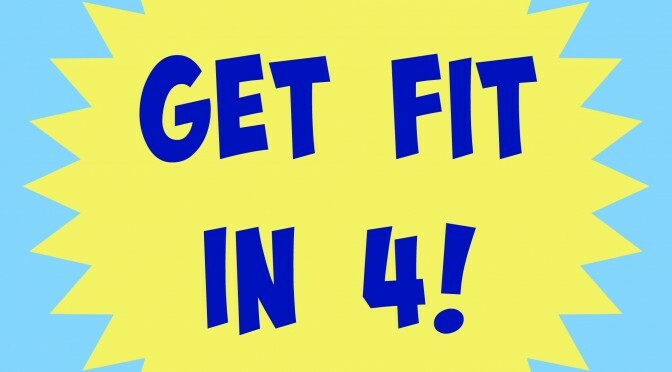 Workout other people: Check. Ship wine to wonderful customers: Check. Drink wine in my pajamas while wrapping presents: Check. Share new cocktail recipe: Check! This is the stuff that matters, friends: Cocktails and wine. And personal hygiene. 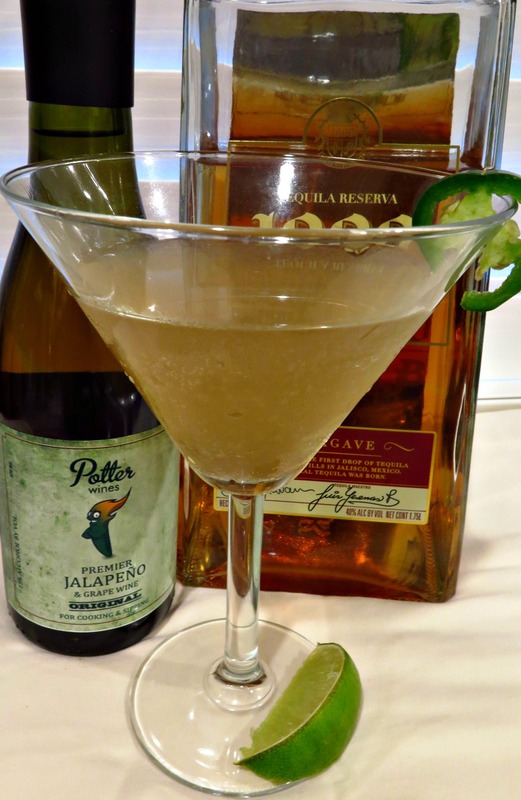 My winemaker and I wanted to come up with a new Jalapeno Wine cocktail recipe to share in time for cheers’ing the New Year. Last weekend a star was born! For now I’m calling it a Jalapeno Wine & Ginger Cocktail but I’m still searching for clever names. 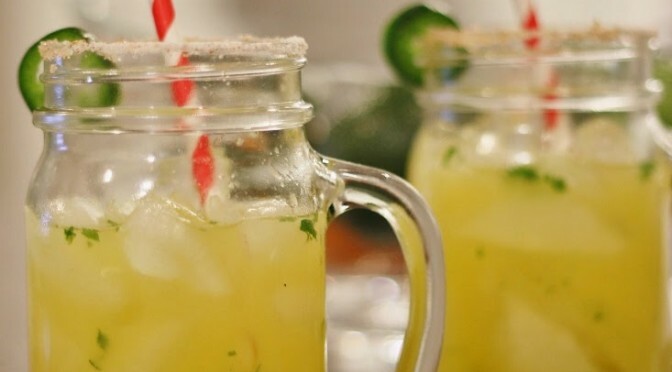 It’s very similar to a margarita made with ginger ale…if that margarita also were to incorporate Jalapeno Wine (which ours usually do around here, see this recipe on the website). 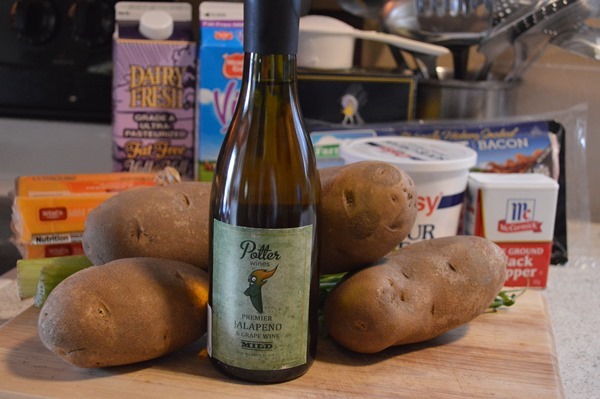 A Potter Wines Ginger Margarita may make more sense but then it would lack the Jalapeno Wine kick-in-the-attention-span I want people to receive when reading/saying it. Folks, tip your mixologist well the next time you’re at a bar. For they know some of life’s biggest secrets like how to adequately name a cocktail. 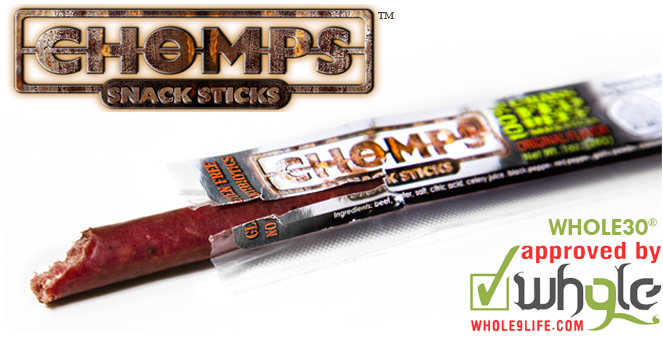 In other news, the good people over at Chomps Snack Sticks sent me some samples of their 100% grass fed beef sticks (because protein gets kind of boring and I also asked nicely for them). I have that review for you at the end of this post so stay tuned if you’re a cocktail/wine lover who likes beef to go with your buzz. 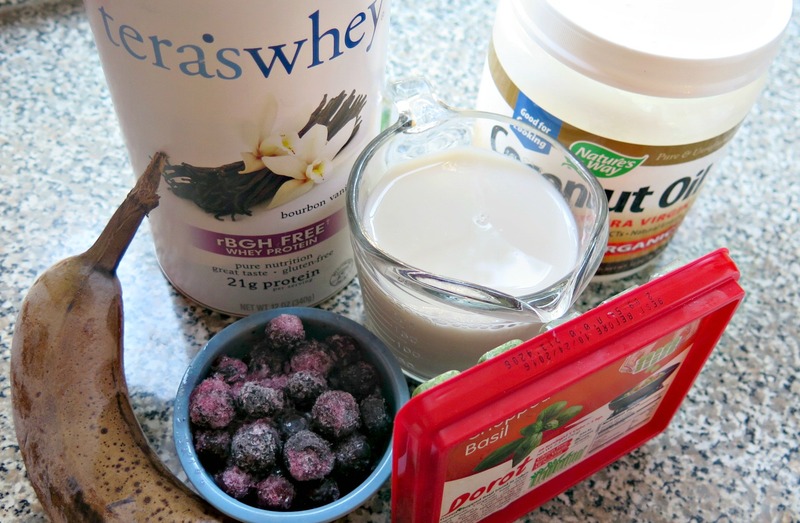 Or maybe just a high-protein snack to go with your New Year’s resolution. First, let’s cheers it up! Place a fair amount of ice in a shaker. Add all ingredients and roll in your hand to mix. My winemaker shook it very briefly for me because he knows I’m odd and I loathe carbonation. I recommend you DON’T shake it up unless you too get puffy like a seagull on Alka-Seltzer when you drink carbonated beverages. If you’d like you can add ice. We found adding ice only dilutes the brightness of the drink, hence why we instead chill our glasses ahead of time and drank sans-rocks. 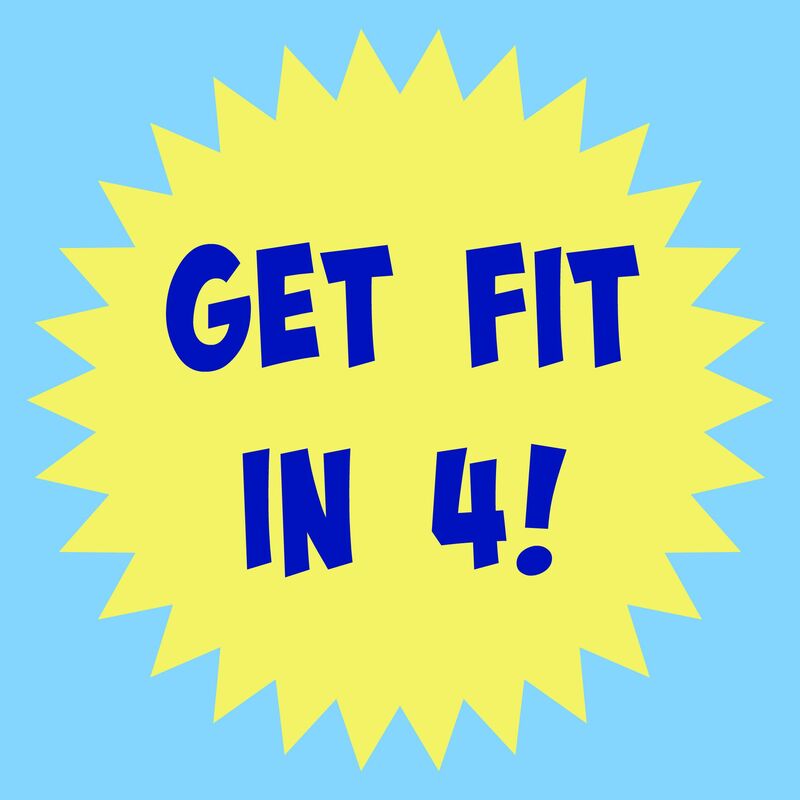 Here’s the thing with me: I believe in eating a high-protein diet (for most people, this is beneficial as well as a tried-and-true method for keeping pounds off). But if I’m being honest? Borrrringggg. I’m constantly changing up my protein sources because let’s face it – I’m a carb and cheese girl. So I have to get creative on how I get my protein in. Yes, protein powder helps. Which leads me back to above-mentioned snooze drill and the fact that I’m not going to recommend to all my clients that they shell out more money by buying protein powder around the clock. 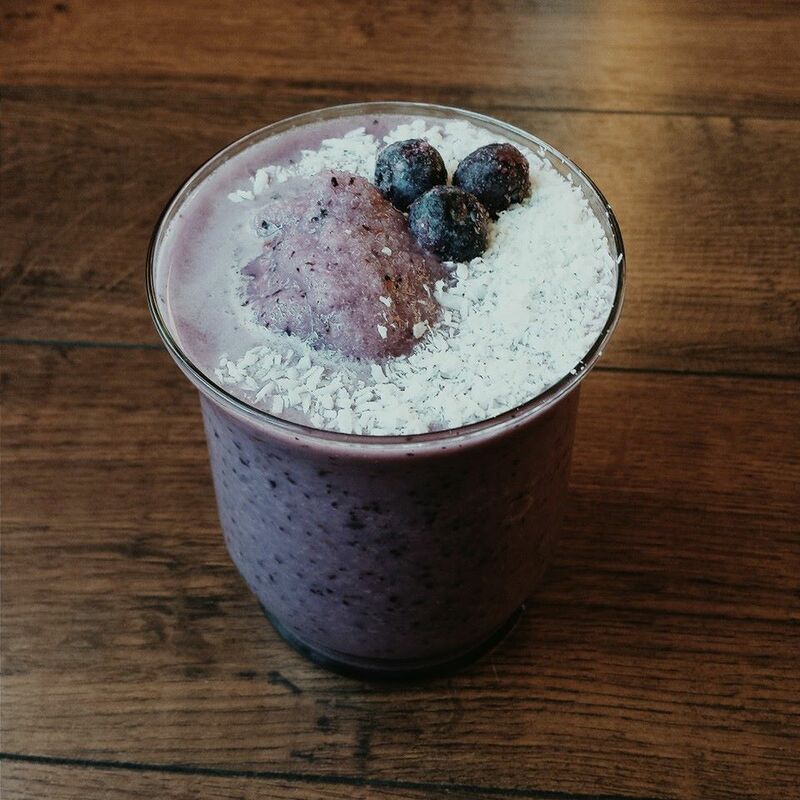 You can always find ways to eat more protein – so I hit up the people at Chomp. It’s not like I’m a big beef stick fanatic but when I’m on the road, especially with my kids, I get super annoyed at all the gross food options I’m faced with. Same goes when we’re working a wine event and it’s 4-5 hours before we can eat. So usually my go-to is a pepperoni stick or jerky. Which means it’s great protein-wise but pathetic processed-wise. And the last time I “treated” all of us to a round of all-natural, store-bought jerky in the car (which I found at Target), I vowed to never do it again unless I was depressed that I hadn’t seen my gag reflex kick in for a while. Tasty. 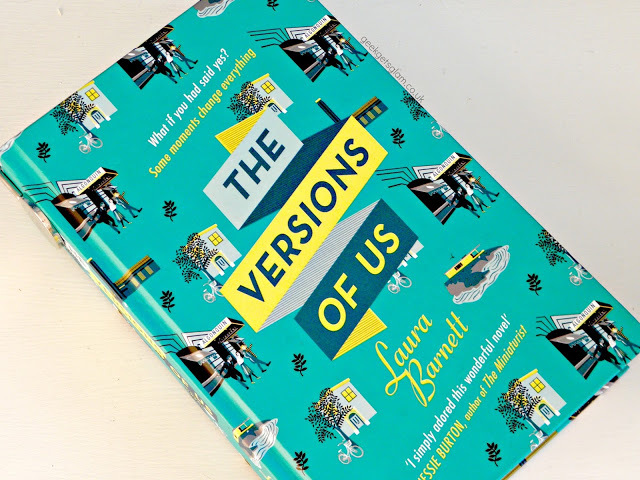 I pretty much inhaled the Original between clients at the studio and all thumbs pointed up. I think that’s the first time I’ve had a beef stick that didn’t break my teeth. Wayyyy better than that junk they sell at Jackson’s. Nutritionally sound. These are the nutrition facts and list of ingredients. It’s pretty much like finding out there’s pirate treasure buried in your back yard. Niche market. While I’m not a Paleo or Whole30 follower, I can appreciate where these guys are coming from. Kudos to them for diving into a market that needed some realistic options. Grab and go, my friends. Grab and go. Crisis aversion. Your 2 ½ year old is beginning to use his powers for evil because it’s been two minutes since he ate something. Lucky for you you’ve got a Chomps Snack Stick in your bag. Well done, parent. Proceed to curse at whomever coordinates traffic light patterns. Whaaat?! There aren’t any sugars in here. There AREN’T ANY SUGARS! Perhaps other food manufacturers will catch on and we can all move on with our lives without added sugars in every product we consume. That’d be a Christmas miracle! Price. 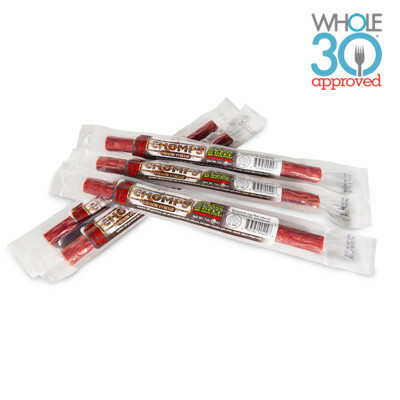 Have you purchased a stick of (questionable) beef or jerky lately? A financial planner passes out every time a sale is made. And forget about turkey jerky. I purchased a bag for $6.99 once and there were three lousy pieces inside. No I mean it, they were really, really lousy. Chomps Snack Sticks are actually more reasonably priced considering you get more for your buck. A financial planner somewhere just got their wings. Flavors. Um, Crankin’ Cran? Who does that to a beef stick?! And who pulls it off?! These guys. And the Hoppin’ Jalapeno flavor is a winner with the jalapeno-obsessed over here. What’s even better is these flavors don’t taste like fake beef with fake flavoring mixed in. They taste like…real food. Insanity. Post workout snack. I’m usually ravenous after a workout and if I’m exercising at the studio it means I don’t have time for an entire meal before my next client. Which leads us back to that whole grab-and-go thing I mentioned above. Spousal agreement. Even the hubby liked these. 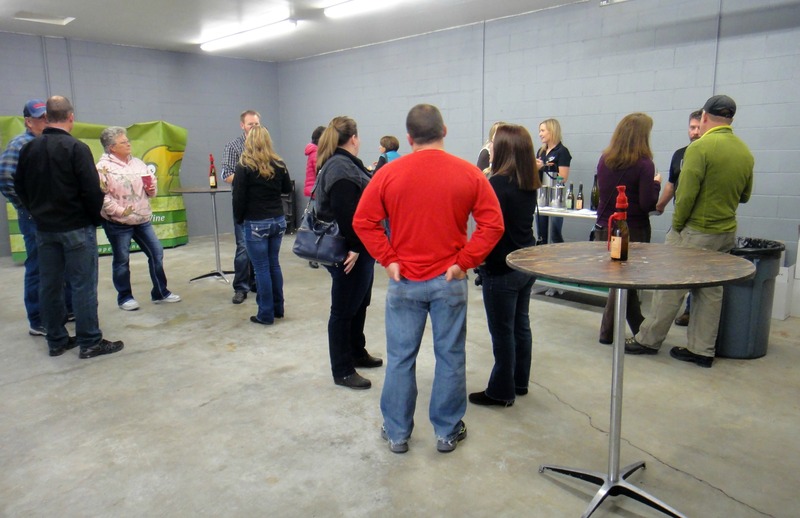 I asked him to sample the Hoppin’ Jalapeno since…well, it’s obvious seeing as he’s the Jalapeno Winemaker, isn’t it? “That’s good. It’s a lot better than any others I’ve tried. I’d give it a 4.5 out of 5.” (That means it’s pretty dang good.) “But there’s no jalapeno in this.” Which means there is definitely jalapeno in it but his taste buds are completely immune at this point. That sodium thing. There is a little bit of added salt, likely for preservation purposes. Still, this beats the entire salt flat you’ll find in something like a Slim Jim. And if you’re on the road, sitting for hours in the car, we all know how much fun extra sodium adds to that experience. Price. Notice I mentioned price as a Pro above. While these are definitely more reasonably priced than other natural options out there (and you do get more for your buck nutritionally), they’re still an extra cost for protein. With that said, if you find yourself grabbing protein bars or shakes anyway, I think this makes sense cost-wise as another option. Or if you find yourself over-eating (or under-eating) because you never eat enough protein to begin with, these are definitely worth the money. 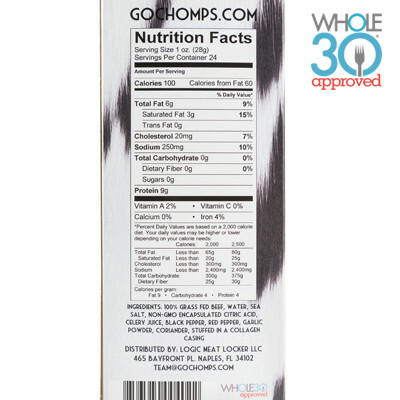 If you’re intrigued and want to try them for yourself, go get ‘em at gochomps.com! I don’t know about you but when things get chaotic I turn to food. Not so much the eating of it, but definitely the making of it. I think we all have certain rituals that comfort us and mine seems to be concocting recipes. Specifically breakfast recipes. Oh, I know what you’re thinking. You thought my comfort ritual was drinking wine. Well, that too. While I’m not the world’s most enthusiastic morning person, I’ve learned to embrace the earliness and enjoy it for all that it stands for – a new day, a new start, no phone calls, no talking, hot coffee, and the calm before the “MomMomMomMomMom!” storm. So it’s only fitting that my favorite meal of the day be breakfast, since I truly believe that first nosh sets us all up for how our bodies run themselves the rest of the day. Yet even I get bored with breakfast, which is basically what happened here. Nutritional boredom + chaos of life = new recipes. It’s what I do! 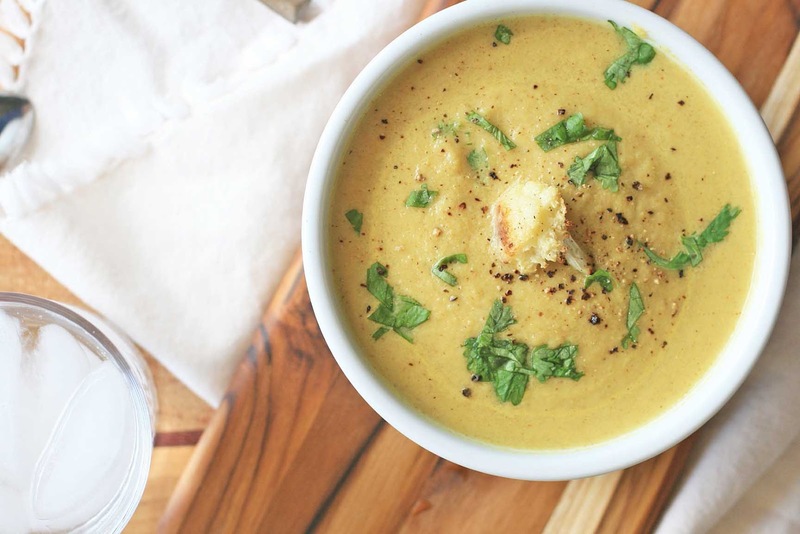 The second recipe was inspired by the farmers’ market we’re at every Saturday. Gathering up our produce and various other items from the farmers themselves every week makes me even more stoked about food. However you don’t need a farmers’ market to pull this one off. It’s about as easy as licking the wine drops off the bottle. But that’s still wayyyy more fun. Still, you’re gonna enjoy this one. Handful of spinach OR some basil, either fresh or frozen in cubes (I found mine at Trader Joe’s). If using fresh basil, all you need is a few leaves. 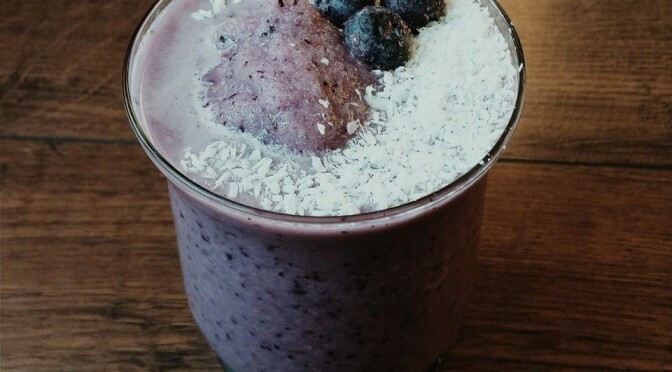 Throw everything, except the coconut oil and honey if using, in a blender. 15 seconds into blending, add the coconut oil and/or honey and immediately blend for 30 more seconds. This keeps the coconut oil and/or honey from hardening back up with the ice cubes. 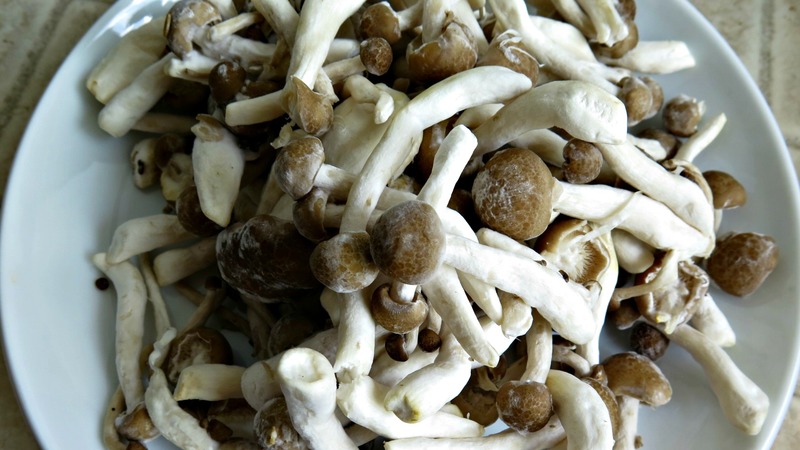 In a large sauté pan over medium-high heat, saute the spinach and mushrooms together in either butter or cooking spray. Stir occasionally for 4 to 5 minutes. In a medium bowl, beat the eggs (or whites or combo of the two) and milk or water with a small amount of salt and pepper. Stir in the green onion. 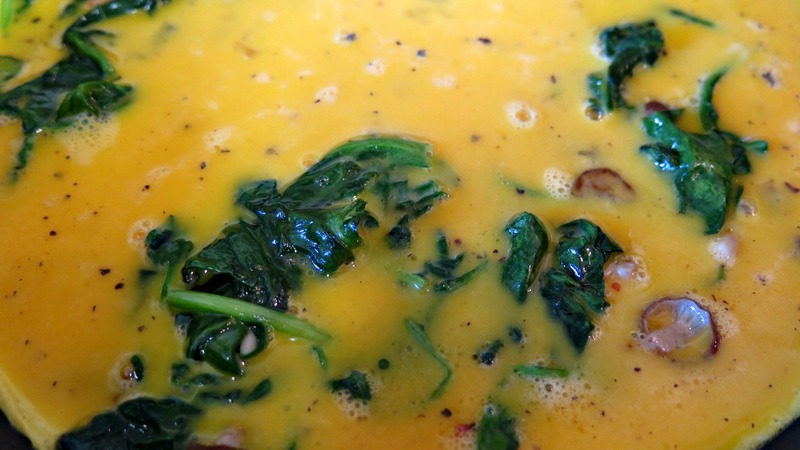 Once the spinach is wilted and the mushrooms are lightly browned, pour the egg mixture into the pan. 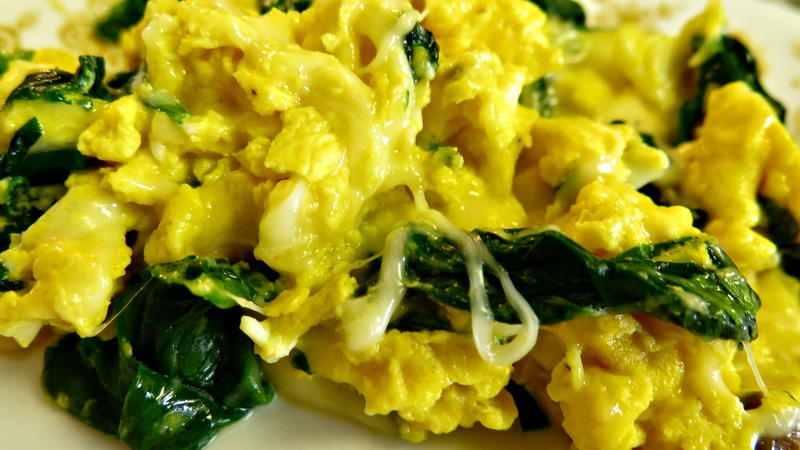 Let the eggs do their thing for about 20 seconds, then begin scrambling once the edges start to set. This was the last photo I had time to take before the scrambling. Over-cooked eggs ruin mornings, therefore no camera was involved in that process. Using a spatula, push cooked portions of egg toward the middle of the pan, allowing the uncooked egg to flow out to the hot surface. When the eggs are almost completely set, sprinkle cheese over the top. Cover the pan and turn off the heat. When cheese is melted, you eat! My job is done here, the rest of your day is up to you and your best judgment. Godspeed! 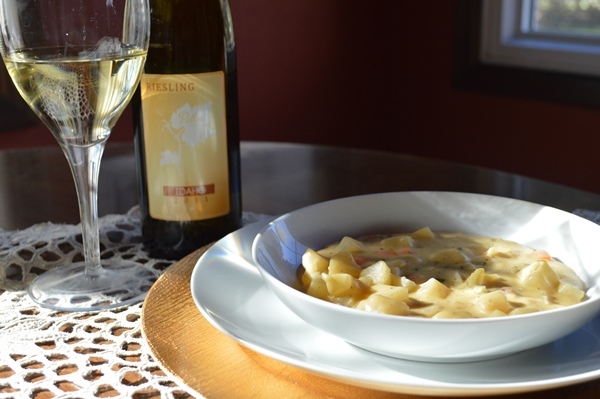 Until then: Michelle at WineDineDIY is here with a delicious recipe that may not be trainer approved but it IS winemaker approved. It sounds pretty incredible and I can’t wait to try it. 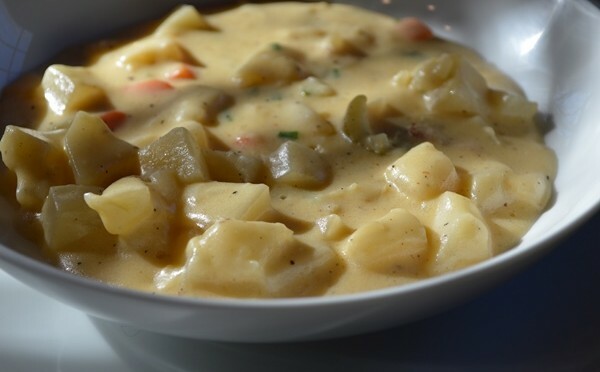 So….soup’s on! I’m being scandalous today! 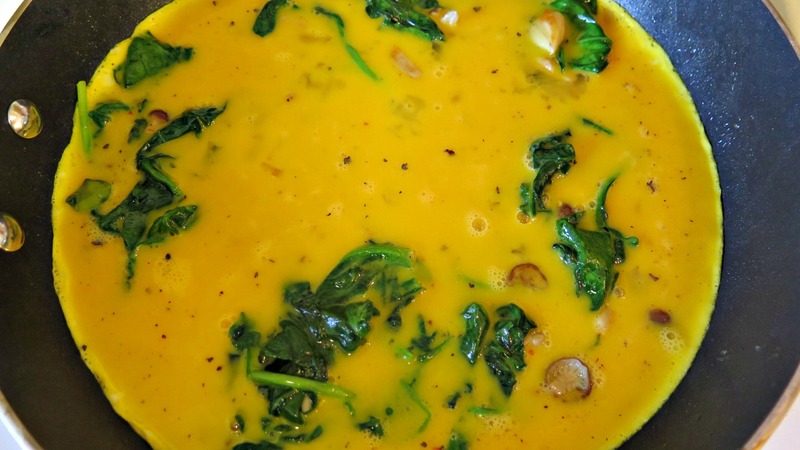 Yep, I’m posting a sinfully rich recipe on an otherwise healthy blog. Sorry Crystal, it HAD to be done because… butter. Get a large pot, spray with cooking oil (I like PAM) and line it with the strips of bacon. Get ’em crispy on medium high heat. Set aside. Once it’s cool, crumble. Meanwhile: Dice the potatoes, onion, carrot and celery. Step One: After having prepared the bacon, reserve a small amount of bacon grease in the pot, reduce heat to medium, and add the diced potatoes and veggies (onion, celery, garlic and carrot) and stir the veggies in the grease. I know, I know. Add the entire bottle of Jalapeno Wine! Oh, yes I did! 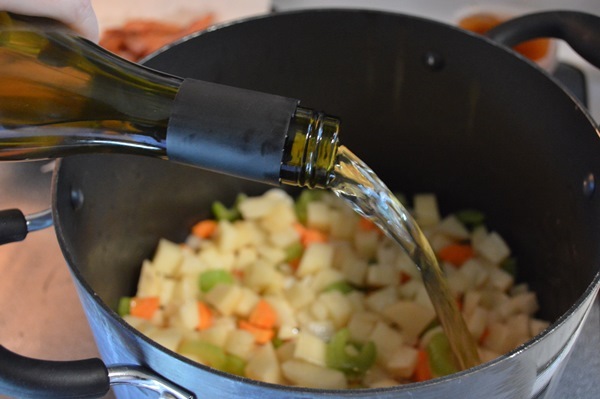 Bring to a gentle boil and stir occasionally as the wine won’t be enough to cover the potato and veggie medley. The wine will boil down in about 15 minutes. Step Two: Add chicken broth just enough to barely cover taters and veggies. Cook over medium heat for 10 minutes (contents should be tender). Turn heat to low. Step Three: In a separate medium pan melt the butter over medium heat, whisk in flour, whisk in milk and half and half and keep whisking until thick and creamy. Add to large pot with potatoes and veggies and stir. NOTE: This is a super thick soup. If you prefer to thin it a bit, just add an additional cup of milk and another cup of FF half and half when you are whisking in the milk to the butter and flour. Step Four: Add salt, pepper and red wine vinegar and bacon. Stir. 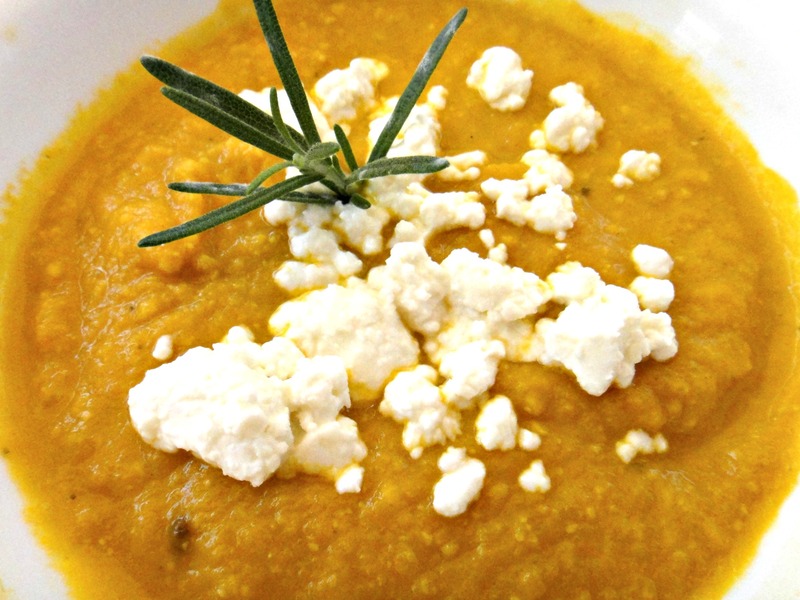 Optional: Fully load your soup by stirring in sour cream and cheese. Finally: Add chives to garnish before serving. I think we can all agree that this is worth being a little bit naughty for! Moderation, right? 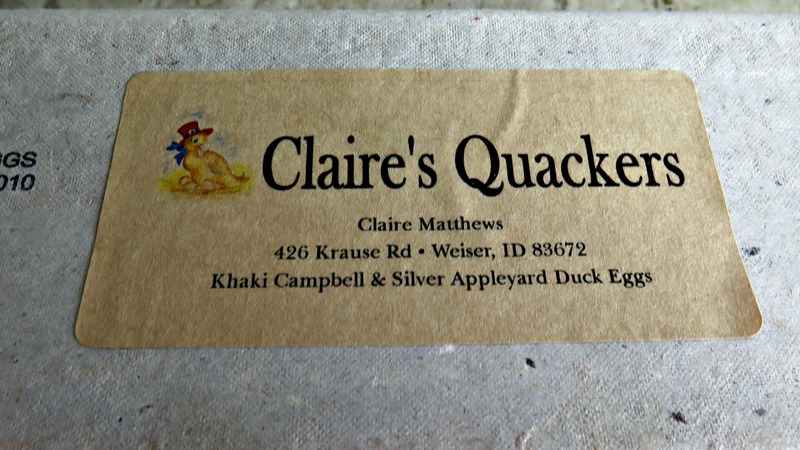 Pair with Potter Wines Idaho Riesling! I’m one of those people who gives homemade, healthy and practical gifts to clients, friends and family at Christmas time (or wine, when all else fails). 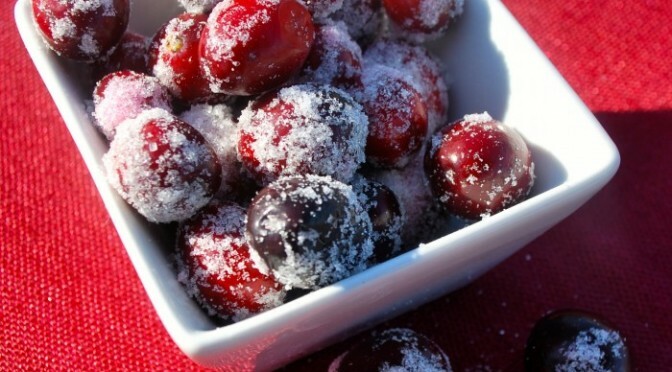 For a few years I made this sugared cranberry recipe because people loved it so much the first time around. Then in 2013 I decided to change it up and I gave away homemade vanilla extract in little jars (turns out vanilla extract is super easy to make yourself – I no longer buy it in the store). This last year I found a granola recipe I really enjoyed, so I mixed up a couple batches and got out the mason jars. The result: Everyone loved it so much I’ve been sharing the recipe for the past two months. It only seems appropriate that I finally get to posting it on the blog. For me this recipe is a hit because of the addition of pepitas (pumpkin seeds), the use of a small amount of pure maple syrup and dried cherries. You could easily leave the pepitas out if you’re not a fan and use other dried fruits if you aren’t down with cherries. 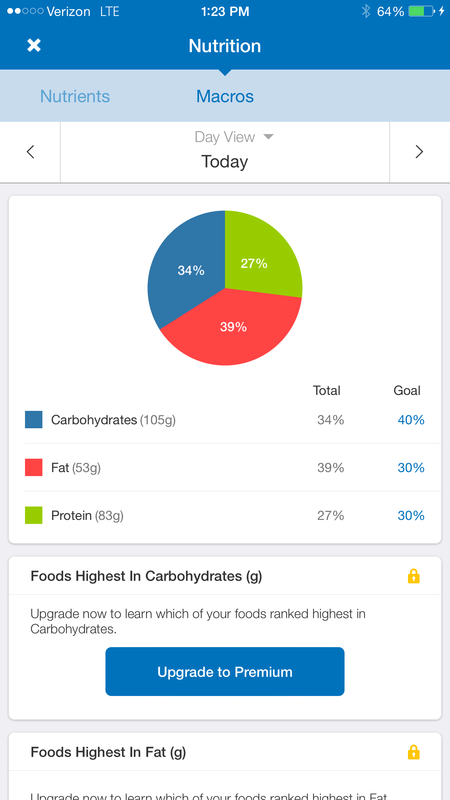 Just keep in mind the nutritionals will vary depending on the sugar content of your dried fruit of choice. Also, the original recipe (which I found here, over at Real Simple) calls for using canola as your oil. I made it once this way but the second time I used coconut oil just to experiment. Both were delicious! So use whichever oil you’re most comfortable with nutritionally. Photo Credit: Chow.com. 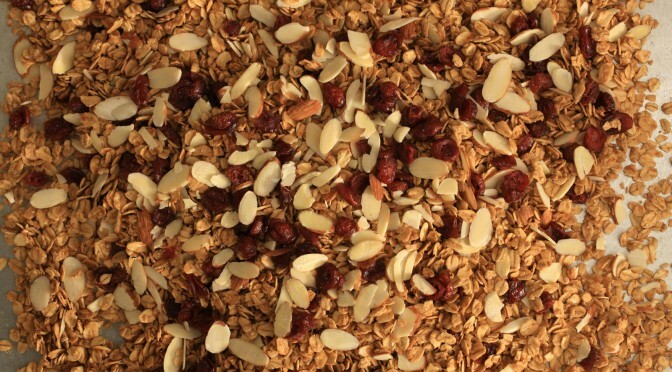 Unfortunately all traces of granola had been given away or consumed by the time I remembered to get out the camera. Heat oven to 350 degrees. 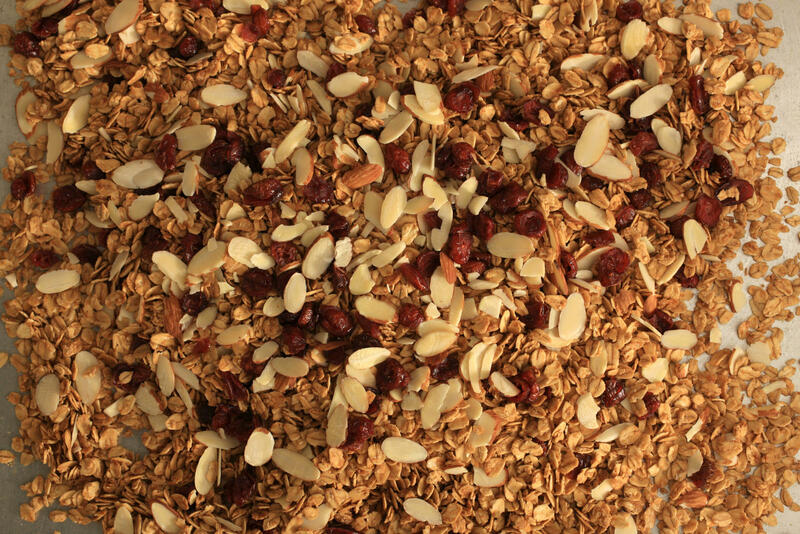 On a rimmed baking sheet, toss the oats, almonds, coconut and pepitas with the maple syrup, oil and salt. 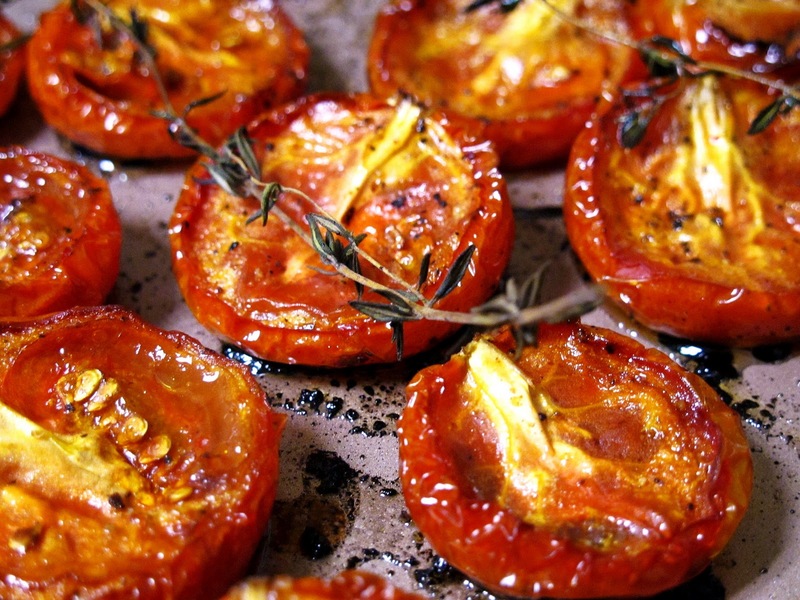 Bake, tossing once, until golden and crisp – 25 to 30 minutes. Add the dried fruit and toss to combine. Let cool. The more things change, the more things stay the same. Case in point: Fitness profession set aside, I still love me some carbs now and then! Mostly in the form of chocolate. But I have a few exceptions to that rule. This time of year is no different although I’ve definitely replaced my cookie obsession with other things, like sugared cranberries. I mean what’s not to love? You start with the good ol’ fashion cranberry, steep it in sugar water, roll it around in more sugar and you’ve got a tart-and-sweet treat without too much guilt! Okay I don’t feel guilty even a little bit, actually. Even my winemaker requests these every year. So without further salivating, here’s my sugared cranberries recipe, as adopted by me from Cooking Light magazine in 2003. Heads-up: These require at least 8 hours of refrigeration before you finish them off. I always hate when I don’t read the recipe through and figure this kind of information out after-the-fact. Makes for an angry Trainer Mama! 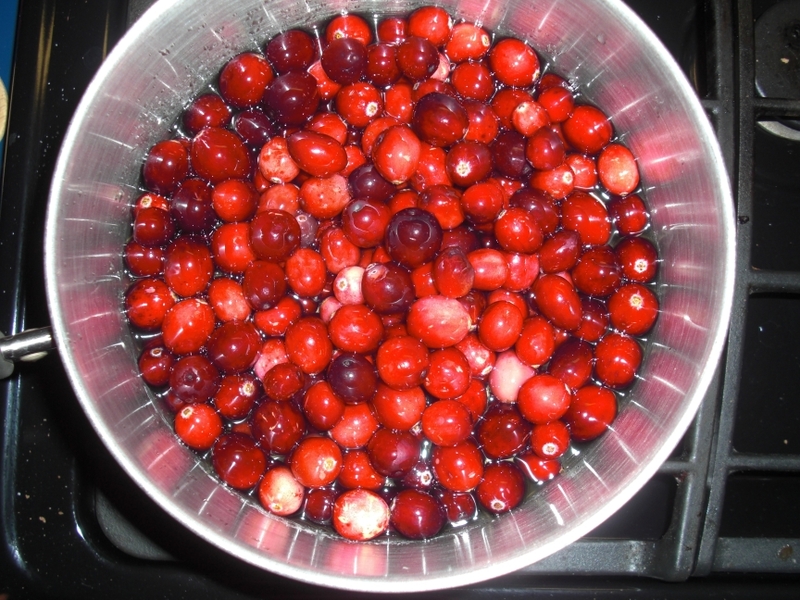 Stir in cranberries; pour mixture into a bowl. Cover and refrigerate 8 hours or overnight. Place superfine sugar in a shallow dish. Add the cranberries, rolling to coat with sugar. 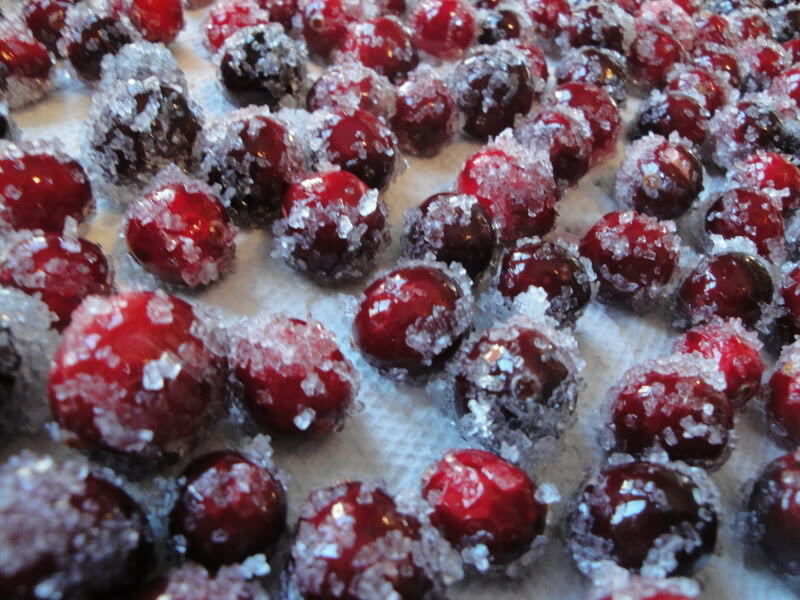 Spread sugared cranberries in a single layer on a baking sheet; let stand at room temperature 1 hour or until dry. Note: The steeping liquid clings to the berries and helps the sugar adhere. Store in an airtight container in a cool place for up to a week. But seriously, if this lasts longer than a few days in your house you should probably just give them to me. Nutritionals per serving (serves 9): Calories: 118 (0.0% from fat); Fat: 0.0g (sat 0.0g,mono 0.0g,poly 0.0g); Protein: 0.1g; Carbohydrate: 30.4g; Fiber: 0.9g; Cholesterol: 0.0mg; Iron: 0.1mg; Sodium: 0.0mg; Calcium: 2mg. I think it’s safe to say we’re all in detox mode this week. I rarely admit this, but I’m toning down my lush factor after my liver approached me to ask “who the hell do you think we are?” on Sunday evening after 4 nights of wine-a-palooza. So I’m back to my one glass/night max. But that’s not to say the Thanksgiving weekend wasn’t a total blast. We had our Red Friday Open House (get it? red wine? 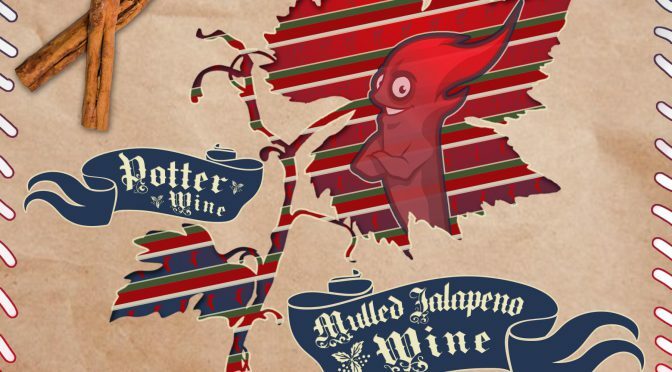 okay, I tried) the day after Thanksgiving where the Mulled Jalapeno Wine was a big hit. (I’ve been asked by a few of you to post the recipe, so see that below!) Then the next morning was Small Business Saturday at The Boise Farmer’s Market. Our schedule was jam-packed with equal parts business and fun evenings spent with family and friends. Sponsored by Lots’o Wine. Check out my super-classy and chic signage. This is why you should stay in school, kids. You learn things of great importance like this. At least one day you can all say that you remember us before we hit it rich, making our own student council signs and stuff. I saddled up with a nice bottle of Cabernet while drawing up this gem. Apparently a tannic, dry Cab goes really well with the biggest permanent black Sharpie a person can find. We spent the morning of the event prepping and making sure we didn’t get in one another’s way. I seem to stink at that game. Nevertheless, we had a really great showing and met some new faces. We’re always thrilled when newbies stop by and aren’t turned off by our rugged headquarters. 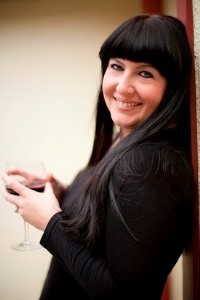 Most wine lovers in the area are really cool about the whole start-up scenario and can remember when many of the local wineries started small and were based out of commercial garages. We’re grateful for that attitude and love getting to meet other winos like-minded individuals who love wine and supporting small businesses! We’re lucky to live in the community we live in and have the support system we do (including really resourceful family members who know how to do things like hook up a sound system in an old garage and decorate flower pots with weird things I buy because in my head it should look pretty). Our humble space. Who needs furnishings when there’s wine? Von made Chipotle Jalapeno Wine pulled pork (amazing!) and my sister-in-law Amy made Chipotle Jalapeno Cookies for folks to snack on . As we started to wrap up the night we poured ourselves a glass of our 2012 Syrah that we were sampling that evening, which hasn’t officially been released yet because it’s been aging in the bottle. I love how every time we taste it, it gets even better. Why can’t leftovers be that way? 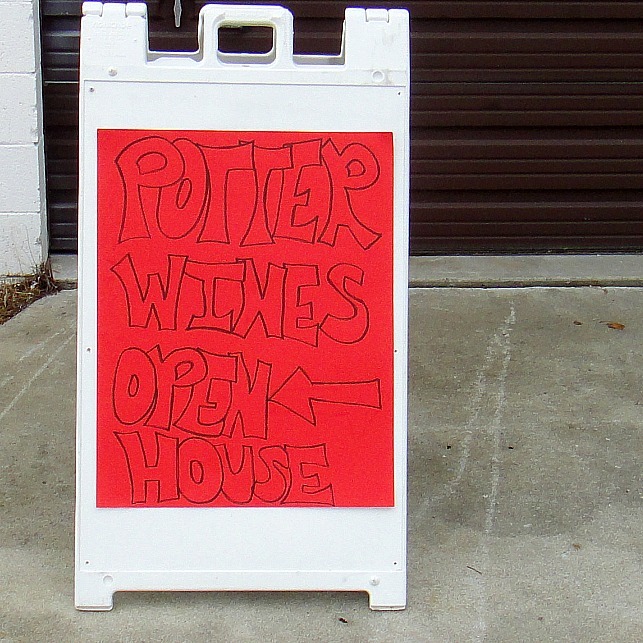 But as all great Potter Wines events go: We came, we drank, we went to bed. Some of you have emailed me for the recipe and rightly so, as it is one fun way to ring in winter! If you use apple cider like I do, it won’t be overly sweet and I prefer it that way. 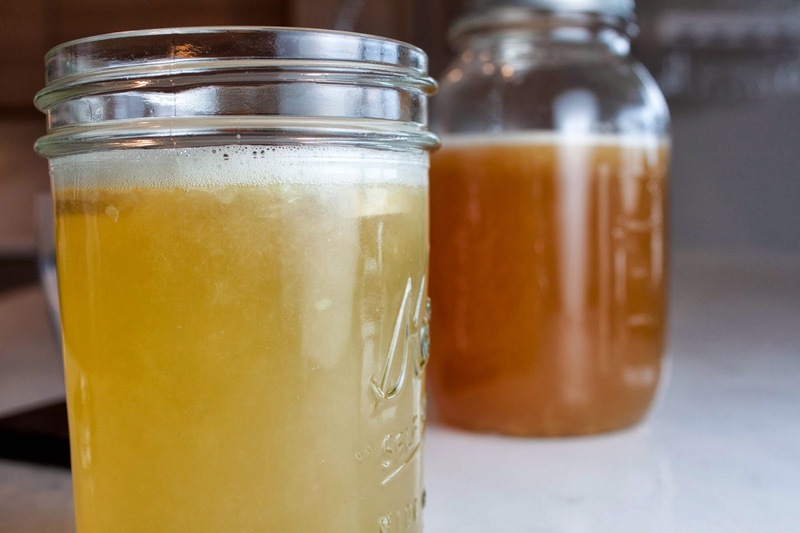 You can make it sweeter if you want by adding honey until you’re satisfied, or use apple juice instead of cider. If you’re still in tailgating mode as many people around here were last weekend, this will be a big crowd pleaser! Or serve this at your holiday party to spice things up a notch. 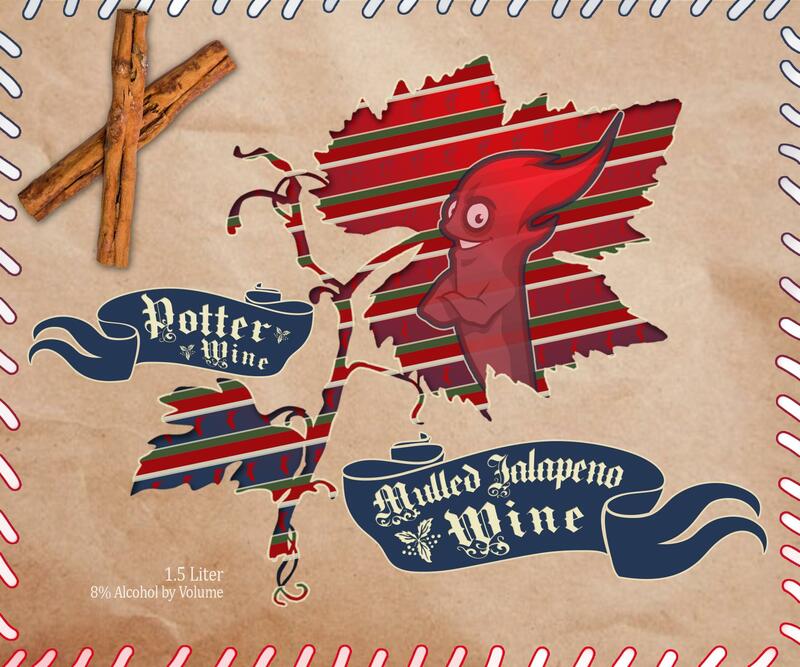 Visit jalapenowine.com for ordering info and more recipes. Cheers to happy holidays, lots of vino and really, really good workouts to keep us honest! Now, you’ll notice all but one of these is from the same chef/baker blog and that’s because she’s legit. Everything I’ve ever made from Joy the Baker has turned out glorious, even with me messing with it to make it a little healthier if need be. I pretty much have a cooking crush on this woman. Sprinkles and all (I hate sprinkles but she makes them seem cool). My other cooking affair is with Eating Well magazine. The hubby and I have probably made about 3,508 recipes out of the publication and maybe didn’t like one of them. Actually, I have made 3,508 recipes because the hubs is one of those home chefs who knows what he’s doing and therefore doesn’t need to follow a recipe to make things taste lovely. They say you marry your opposite and I sure as $#*! did. I didn’t have what the recipe called for, so I substituted or just omitted. I wanted to make the recipe healthier/lighter. 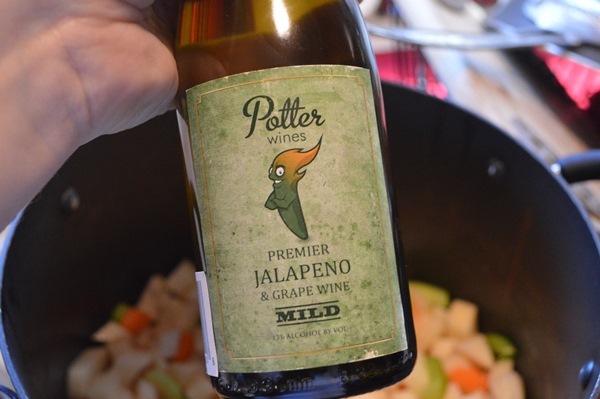 I love putting jalapeno wine in soups and I happen to have a TON on-hand. I may know the owners or something. 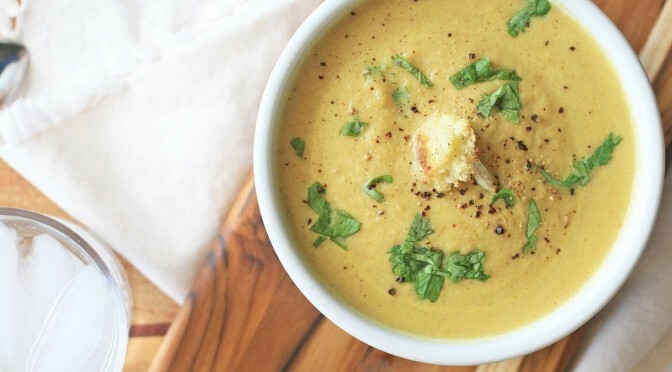 With that, in no particular order because I find each of these equally amazing, I bring you my Fall Soup Recipe Roundup! 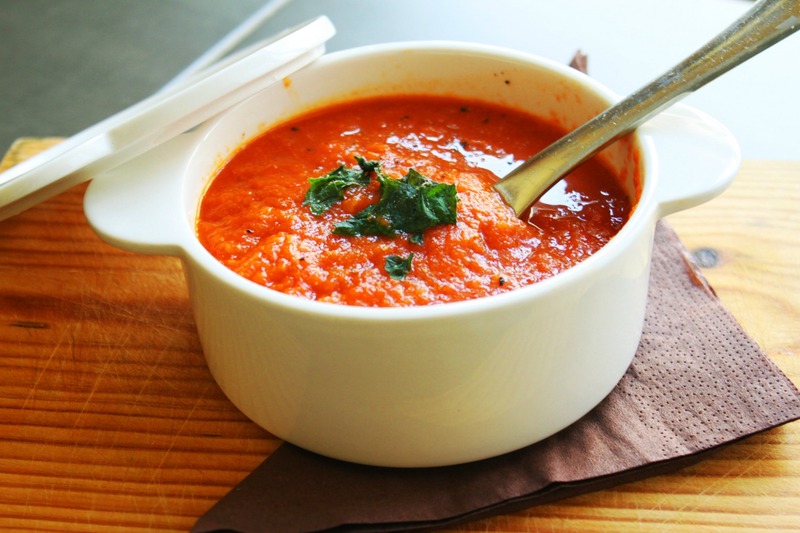 This is our absolute most-favorite tomato soup. We make it about eight times a year and it’s delicious every time. You can find the original recipe here. 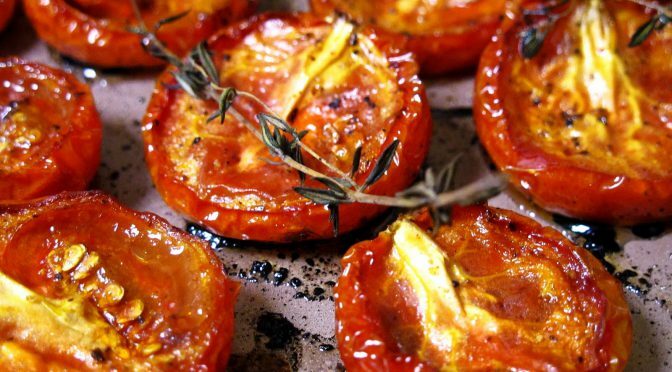 We often use fresh tomatoes, instead of canned, if we have them. In the winter we obviously used canned and doing either works terrific. We add jalapeno wine with the tomatoes, in step 2. Seriously fall-appropriate. One tip: Do not expect your kids to eat this. I went into it thinking they would both love it as they do the tomato soup, however this is a bit spicy. On the bright side: More for you! I made this “Chipotle” by adding Chipotle Jalapeno Wine with the chicken stock (about 1/4 cup). We didn’t have garam masala nor could I find it at the local grocery store and I was too lazy to go elsewhere, so I subbed it out for 1/2 tbsp. of cayenne pepper and a dash of cinnamon (wingin’ it!). We omitted the heavy cream. I ate mine with crumbled goat cheese on top because I’ll use any excuse to eat goat cheese. I actually remembered to photograph this soup one night. Pretty! This one really surprised us. It’s fantastic! 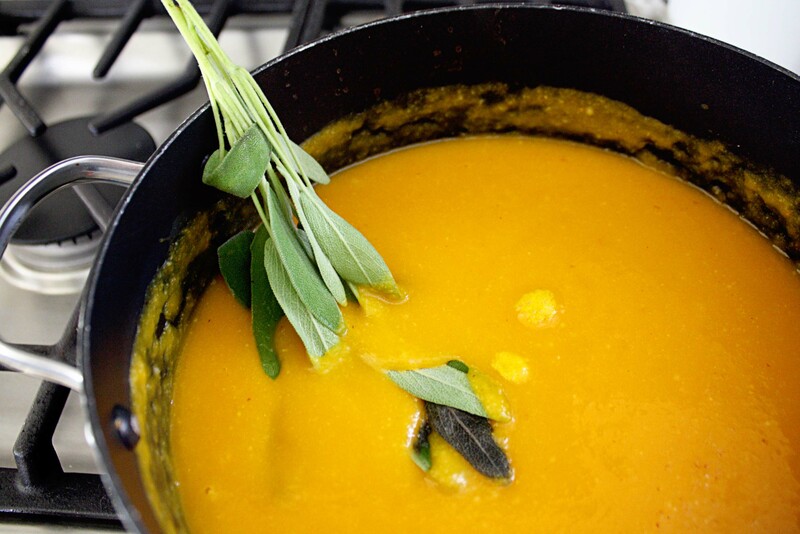 Joy the Baker titles it “Vegan Carrot Jalapeno Soup” but with my variation I couldn’t justifiably call it vegan. Plus I don’t care. If you do, follow her recipe to the letter here. 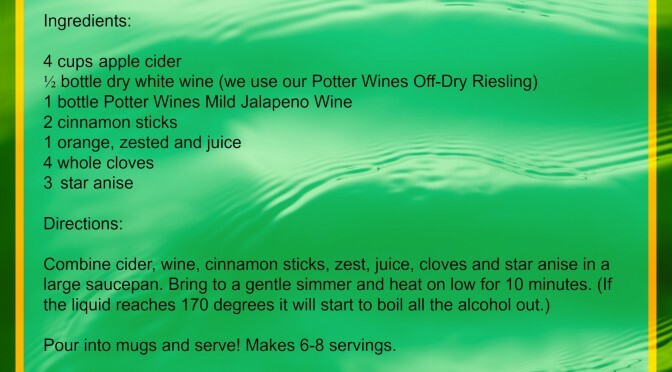 Instead of jalapenos, we added about 1/2 cup of Chipotle Jalapeno Wine at the end when pureeing. You could also do this at Step 3 along with the chicken stock to make sure the alcohol is cooked out. Again, I ate mine with goat cheese. Any excuse, like I said. 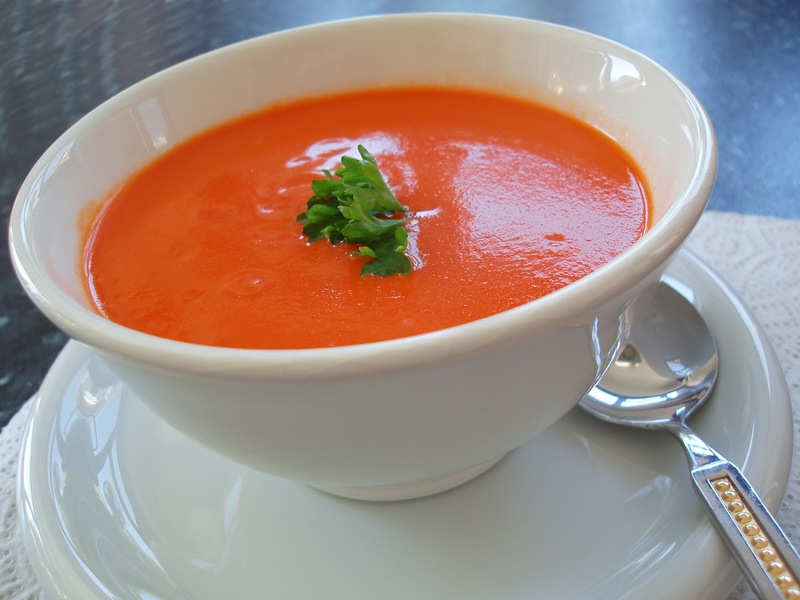 I mentioned how the carrot soup surprised us? This one blew my expectations away. I can’t wait to make it again. There were a lot of things we didn’t have, see what I subbed out below, and it was still delicious. Joy the Baker’s original recipe (here) called for cumin so I’m looking forward to using that next time. We omitted cumin seeds and curry powder and used celery seed instead (1/2 to 1 tsp). I decided to use black pepper instead of crushed red pepper flakes so our kids could eat it. We only had 1/2 onion instead of a whole one. We combined 3 1/2 cups chicken stock and 1/2 cup Mild Jalapeno Wine.